The 3-stars at the Hotel Joli in Palermo, centrally located, guarantee everything you need for a relaxing, worry-free stay thanks to the best services offered by 3-star hotels in Palermo. Hospitality, customer care and recent renovations at the 3-star Hotel Joli in Art Nouveau style, will make yours a rewarding stay, satisfying your every wish. 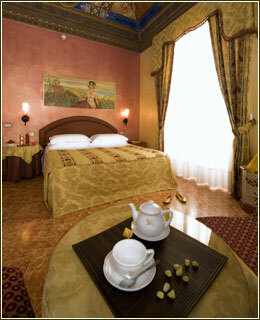 The 3-star hotel in Palermo for you is the Hotel Joli! Where should I park? What should I see and how do I get there? Where can I get a good meal in Palermo? No problem! The Hotel Joli, cozy 3-star hotel in Palermo, know what you need: From babysitters to ADSL internet connections, from rental cars and bikes, the 3-star Hotel Joli is happy to provide its professional services. Something you won't find in all 3-star hotels in Palermo . Take time to enjoy your stay, whether for business or pleasure, while in and Palermo. Choose the 3-stars at the Hotel Joli. 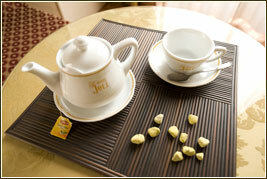 Welcome to Palermo, view Hotel Joli's 3-star amenities!